Outside of our hotel, the driver we had booked the day before was waiting for us. After the mandatory mistaking me for a local, he pointed out he ought to be back in town at 4 pm sharp due to a “very important appointment”, in case we would fall into the temptation of lingering over and lest we forget that Shirazis hardly take the risk to shift into overdrive. 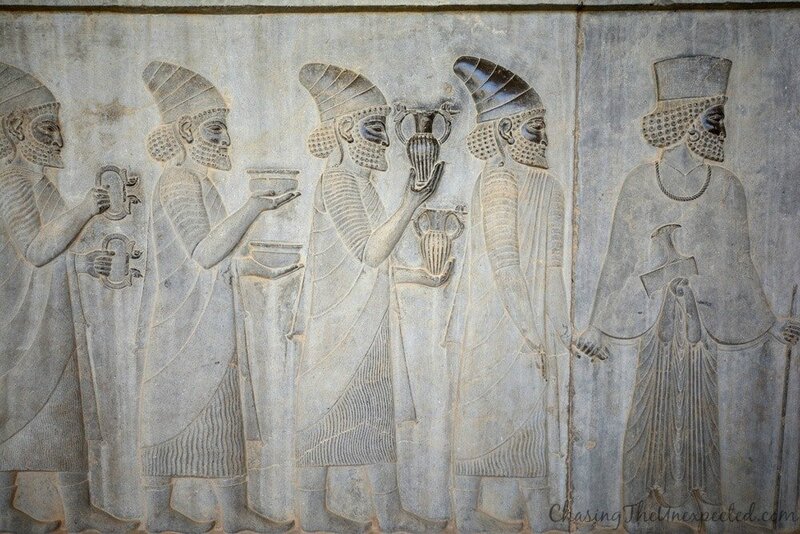 After the introductory greetings, we finally were on our way to Iran’s Persepolis. Some an hour and a half, and a whole CD of local Bandari music later, my full immersion into Persian magnificence officially kicked off some 135 km away from Shiraz, at the oldest capital of the Achaemenid Empire, founded by Cyrus the Great, whose imposing tomb represents the main landmark, around 550 BC, and one of the first and most glorious dynasties falling under the bigger umbrella of the storied Persian Empire. 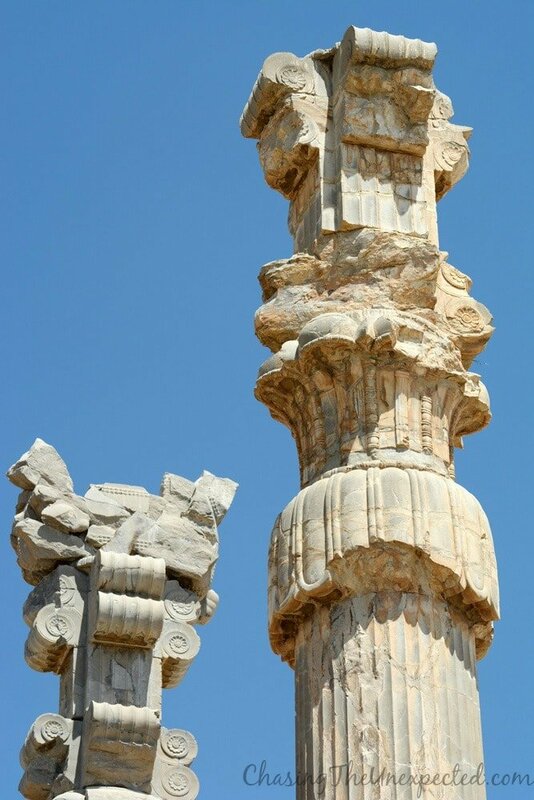 Surrounded by a chain of barren rolling hills were the immortal vestiges of Pasargadae, from its citadel, Tall-i-Takht (Throne Hill), to the 11-meter-high tomb of its founder Cyrus the Great built by himself to ensure a smooth crossover and an afterlife suitable for an emperor; up to one of Iran’s most important archaeological sites, Naqsh-e Rostam, an all-encompassing collection of towering rock burial chambers belonging to different moments of Iran’s stormy past, from the ancient Elamite kingdom to the Achaemenians to the Sassanians, a precious gathering of the different architectural styles of the early dynasties of the Persian Empire all in one site. 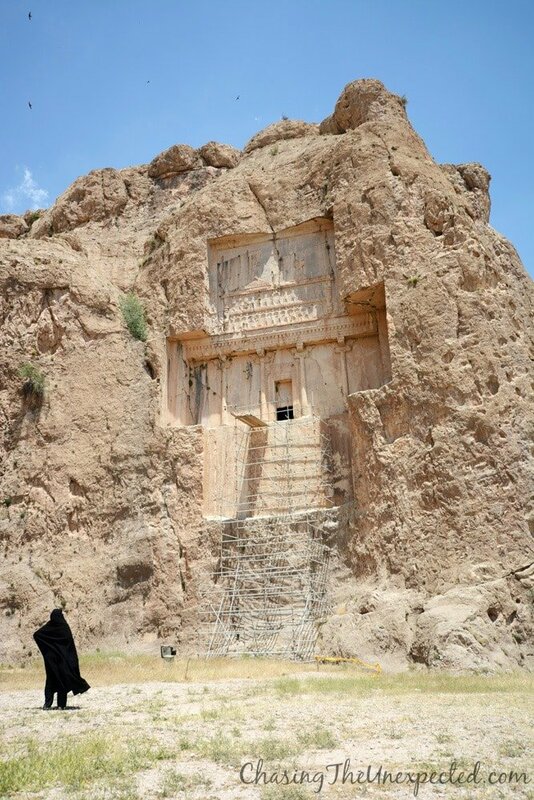 With the inevitable mirza ghasemi cravings starting to undermine our concentration level, my friend Madi and I took a much-needed break right at the entrance of the ruins with a glass of sweet khak-e-shir, a popular detoxing drink prepared with the seeds of a plant known as London rocket. 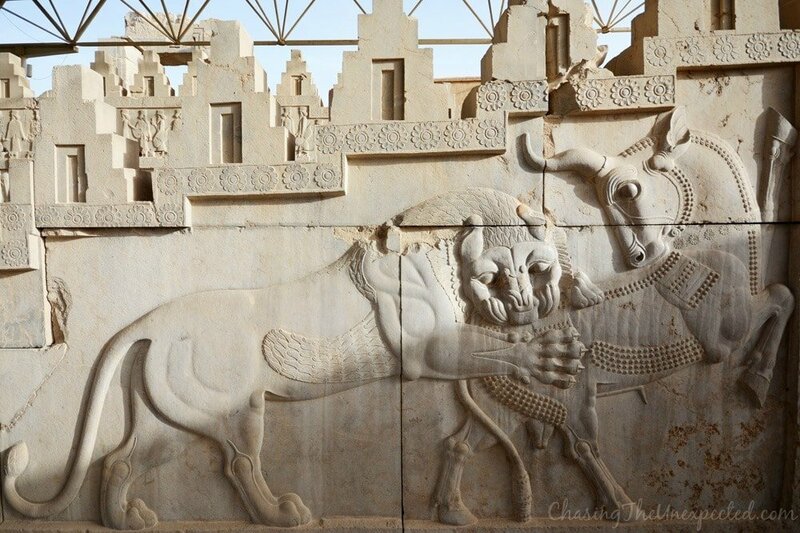 I had been dreaming of our next stop, Persepolis, since high school and I was finally about to enter what is known as the most sumptuous seat of the Achaemenid Empire. 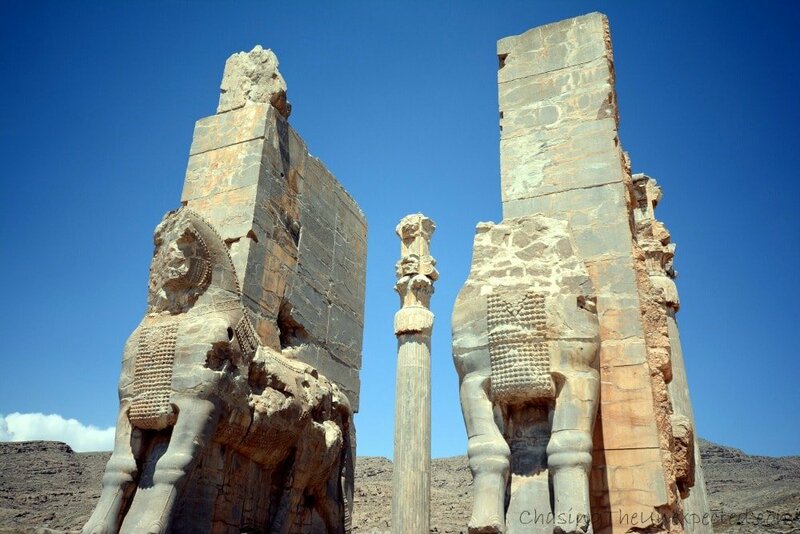 Founded by Darius the Great around 518 BC on the vast plain of Marv Dasht, the ancient ceremonial city exudes grandeur right from its entrance, the monumental Gate of All Nations where mythological figures of bulls with eagle wings and the head of a bearded man standing with the duty to ward off evil. 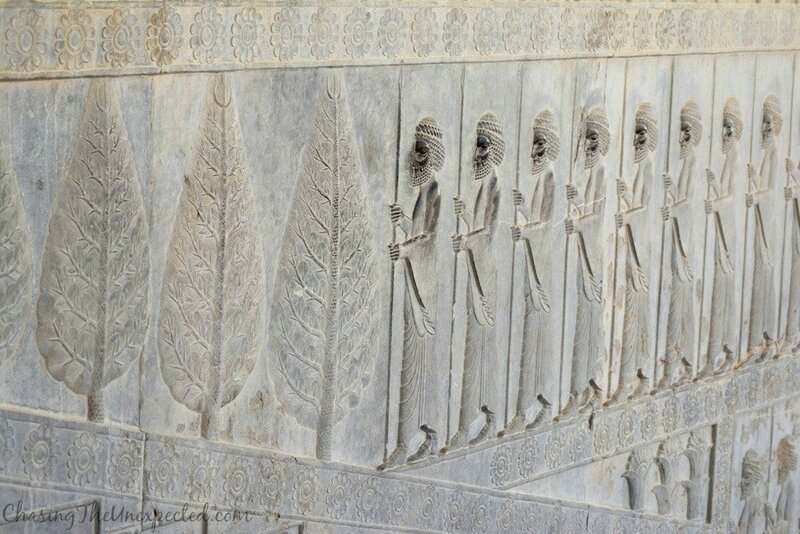 The exquisite bas-relief of the Apadana staircase, portraying the “Immortals”, the royal guard so much praised by Herodotus, alongside kings, dignitaries and cypress trees, a symbol of immortality, seemed as neat as if just engraved, making it easier to picture the splendor of bygone daily life, with tunic-clad men swanning around and women all spruced up and glowing in their opulent jewelry. 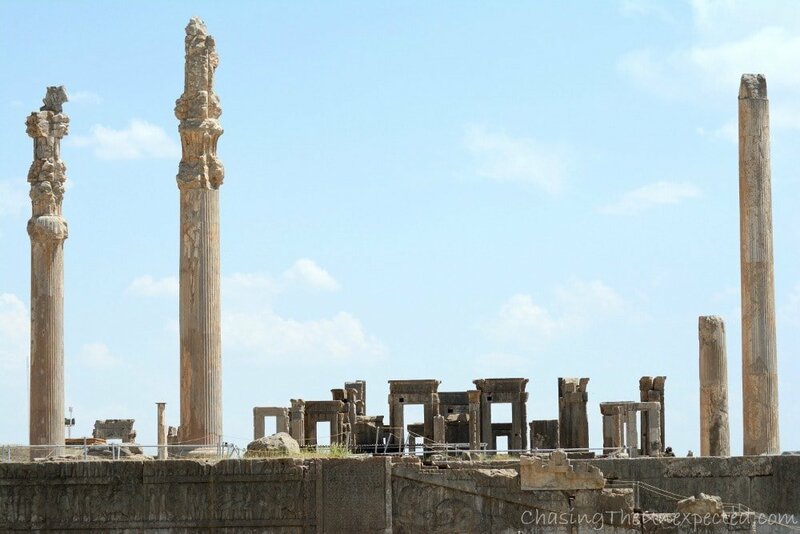 Streets would be festooned with finely carved pillars and wonderful palaces, the Zoroastrian fire burning day and night in the heart of what still today is considered one of the most enlightened ancient powers. Fascinating collection of carvings depicting legendary Darius the Great and symbols cherished during the Persian Empire and belonging to their Zoroastrian religion, the ancient ceremonial capital of Persepolis is able to whirl you back to some 2,300 years through an expanse of ancient architecture, the never-missing cypress trees, so present still in today’s decorations and celebrations, and combats and moments of daily life in the Persian BCs. 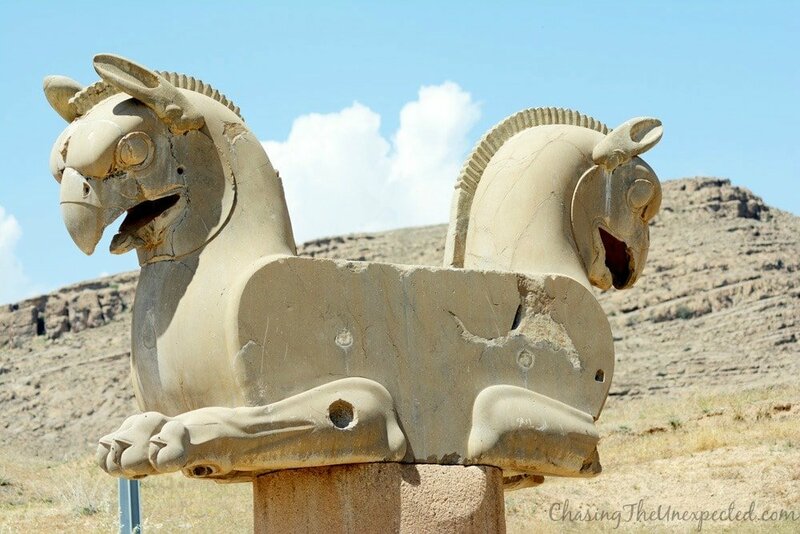 Admittedly, it’s never easy to tear yourself from ageless ruins, and Persepolis, with its majestic pillars soaring into the sky, the remains of once opulent palaces and the magnificence of a bygone Empire, never fails to convey a beguiling sense of lost civilization. But Shiraz, the city where the poetic license has acquired the status of daily routine, had more beauty lined up for us. Going back felt like a time-lapse adventure that stopped somewhere in the 13th century where I could revel in the wisdom of one of its most famous poets, Saadi. 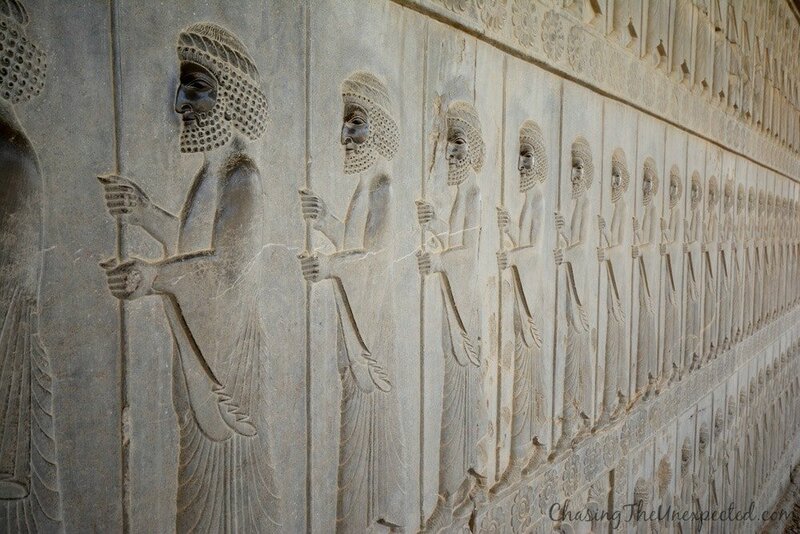 Between history, romance and poetry, it doesn’t matter how long you will stay in Shiraz, its vibe will stay with you right until your return.